Multi-dimensional sensory data would likely have uneven resolution, hence, necessitating pre-processing steps before these could be useful for data analytics. In this study, we analyzed the performance of a multivariate regression model using multi-layer perceptron subjected to inputs that have asynchronous sampling rates. We adopted a publicly available sensor-based dataset to explore the feasibility of the MLP for the predictive analytics of data gathered at mixed-sampling rates. The sensor data consisted of temperature and humidity measurements at 1.67, 1.11 and 0.55-mHz sampling frequencies. Applying MinMax normalization to the input layer, the RMSE of the regression model with Gradient Descent optimizer was reduced by around 8 per cent. Downsampling the input data using spatial filters improved the performance of the MLP regression model based on its generally lower RMSE and higher R2 values compared to the baseline. Our findings suggest that MLP networks provide a suitable baseline analytics on mixed-rate input data. Intricate methods could later build on the architecture presented in our current study. J. R. Bacong and D. E. Juanico. 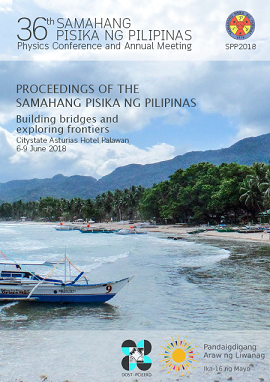 Performance analysis of multi-layer perceptron regression model with mixed-rate sensor data inputs, Proceedings of the Samahang Pisika ng Pilipinas 36, SPP-2018-PB-22 (2018). URL: https://paperview.spp-online.org/proceedings/article/view/SPP-2018-PB-22.